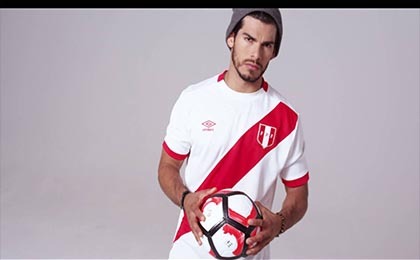 If you want to buy cheap peru shirt for 2018-19 season, buy it here in cheap-football.com , Check our exclusive range of peru Football Shirts / Soccer Jerseys and Kits for adults and children at amazing prices. Get the cheap peru jersey shirts, soccer kits with wholesale price, Free Shipping Worldwide! Peru has participated in five editions of the World Cup (1930, 1970, 1978, 1982 and 2018), his best results being the quarterfinals reached in 1970 (where he won the fair play prize) 3 and the second phase in 1978, while, at the regional level, has been champion of the Copa America in 1939 and 1975, defeating the national teams of Uruguay and Colombia respectively. In the Copa América of Chile 2015 he won the fair play prize for the first time in this competition, reaching for the eighth time the third place.4 Currently, the Peruvian national team occupies the 11th place.